A heavy duty workhorse for large jobs or commercial cleaning of larger homes, buildings, machinery or any surface needing cold water cleaning. Add a soap attachment & detergent for degreasing or surface prep. prior to painting. A telescoping extensiom wand can be used to reach high eaves or multi storied buildings without ladders or scaffold. HOSE, PRESSURE WASHER 50' EXT. 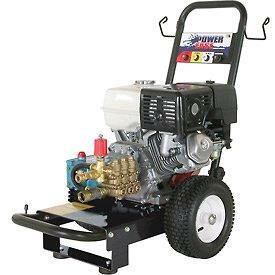 * Please call us for any questions on our pressure washer 4000 psi rentals in Portland OR, Gresham OR, Milwaukee OR, and surrounding metro area.